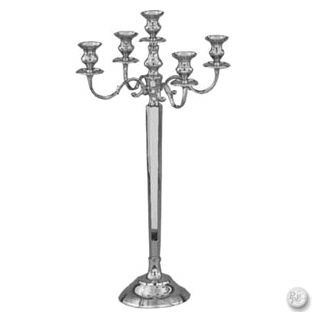 CANDELABRA, SILVER 5- LT /31"
Bobeches must be used to protect candelabra. Available for sale. ** Please call us for any questions on our candelabra silver 5 lt /31 inch rentals in Fairview Heights IL.